Here are five more things that you should know about the Jeep Compass. Jeep uses some really high-tech equipment to ensure that the Compass reeks of high-quality. 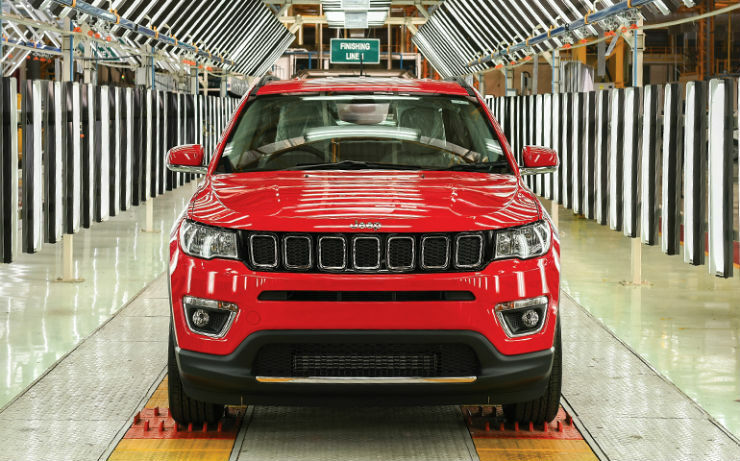 Jeep uses India’s first laser welding technology all over the vehicle, including the doors. The high-tech process ensures that the welding is more precise and stronger than conventional welding methods. Laser welding also ensures that there is no residue left on the welded parts, giving the product a better finish. Volkswagen also uses the laser welding in India, but the German brand only uses laser welding to attach the roof of the vehicle to the body. Only high-end luxury vehicles get laser welding all over, like the Compass does. While Jeep announced that the automatics would be offered with the Compass at the time of unveiling. The brand will not offer it initially. Jeep will only offer 6-speed manual transmission as standard. Jeep will offer a dry-type seven-speed dual clutch transmission with the Compass from 2018. Currently, the vehicle is only available with a manual transmission. The Jeep Compass offers dual airbags, disc brakes on all four wheels, ABS + EBD, Traction Control, ESC as standard features across the variant line-up. 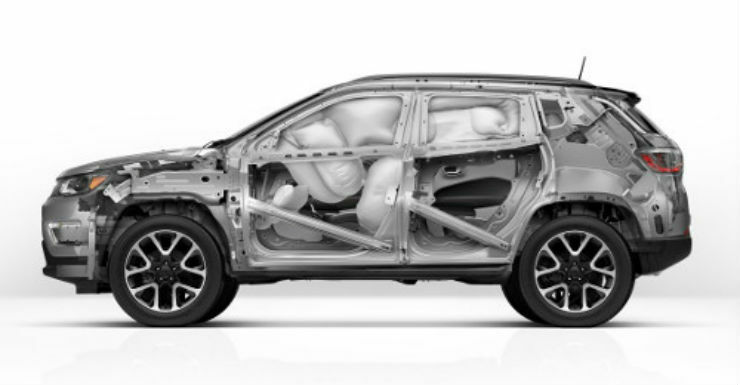 The top-of-the-line variants also get front side and curtain airbags taking the total number of airbags to 8. The standard safety features make it one of the best safety-loaded vehicles in the segment. 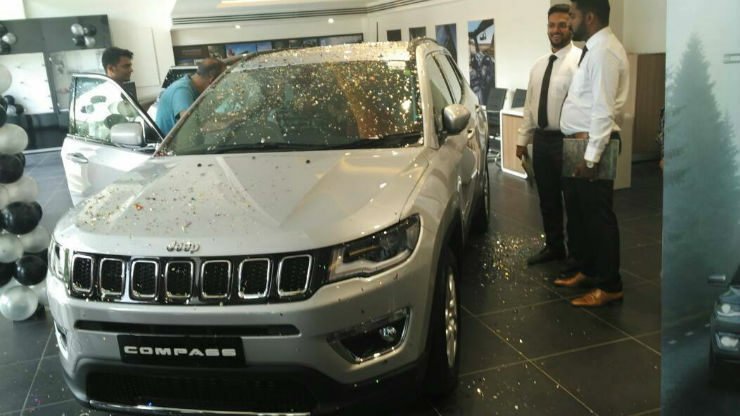 Jeep has unveiled the Compass at the regional dealerships across India. If you wish to get a feel of the car before you make a decision, you can do that. Currently, Jeep has Dealerships across 43 cities in India and is working to open new dealerships in other towns. Jeep has specially redesigned the rear seats of the vehicle for the Indian market. The Indian version of the Compass will get a better thigh support making it extra comfortable. 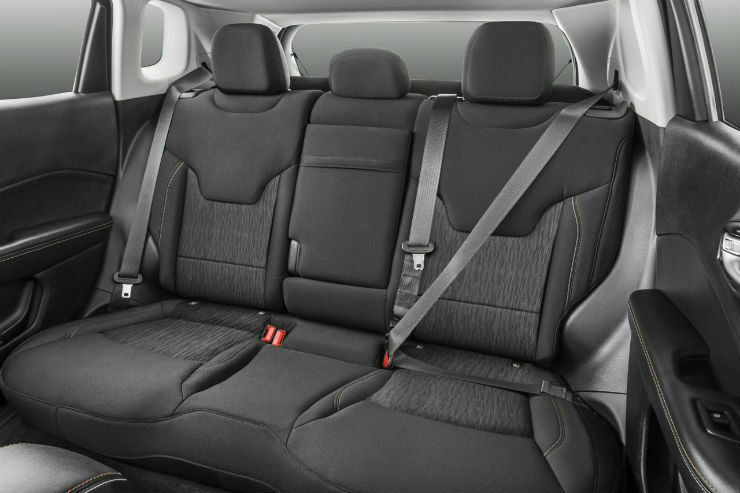 Indians tend to use the rear seats more often while travelling. The change has been done after keeping that in mind.